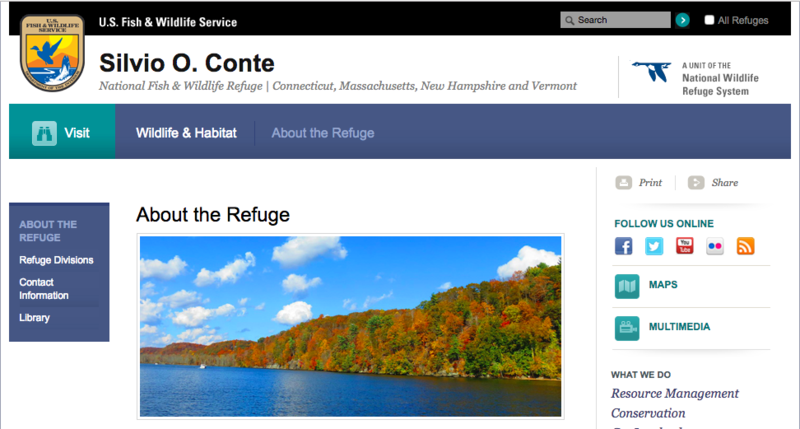 Supporters of an expansion to the Silvio O. Conte National Fish & Wildlife Refuge were surprised and disappointed to learn Gov. Phil Scott has concerns about the long-planned project. In a letter to U.S. Department of Interior Secretary Ryan Zinke dated September 1, Scott said he was “very apprehensive” about the federal government's plan to acquire 60,000 acres of Vermont forest and farmland for the refuge, which spans four New England states in the Connecticut River watershed. But Heather Furman, director of the Nature Conservancy's Vermont chapter, said the expansion has been in the works for more than a decade, spanning the terms of Vermont governors from both parties. She thought the state's concerns had been addressed, especially after a January decision by the federal government to go ahead with the expansion. “There has been an incredible opportunity for input,” Furman said. Vermont Public Radio first reported on Scott's letter to the Department of Interior. Furman called the expansion “an incredible opportunity” to protect an important ecological landscape that could also boost Vermont's tourism economy. She argued that Scott voiced his concerns to protect logging and timber industry interests. The Republican governor detailed a host of objections in his three-page letter, including his contention that the federal government changed rules implemented in 1995 that dictate how land set aside for the refuge could be used. “The result has been that large amounts of farm and forest land are significantly less productive than they had previously been,” Scott wrote. He also asked whether the U.S. Fish & Wildlife Service could guarantee Congress would continue tax payments to towns where land is acquired. Julie Moore, secretary of the Vermont Agency of Natural Resources, said previous governors have raised many of the same concerns, which remain unanswered. Despite Scott’s firmly worded letter, Moore said he is not asking the federal government to halt expansion of the refuge entirely. “We’re just looking to get some clarity,” she said. Moore contended that Scott's stance on the refuge is similar to that of his predecessor's administration. Democrat Peter Shumlin left office in January after six years as governor. But the tone of Scott’s letter does appear more condemnatory than a Shumlin administration correspondence with the feds on the issue. Porter then listed a series of concerns, which focused largely on negotiating hunting and recreational restrictions on the land and protecting wildlife habitat. His letter did not criticize the federal agency’s past practices concerning land use within the refuge.